“Their wisdom and expertise will be precious assets for our future work. Their careers are models of ethical leadership and unwavering commitment to democratic values.” Kofi Annan The Elders have appointed two new members: Hina Jilani, a renowned human rights defender, and Ernesto Zedillo, former President of Mexico. Hina Jilani, internationally known human rights defender from Pakistan, and Ernesto Zedillo, former President of Mexico, have joined The Elders, a group of independent leaders working for peace, justice and human rights. Their appointment was announced today by Kofi Annan, Chair of the group first convened by Nelson Mandela in 2007. 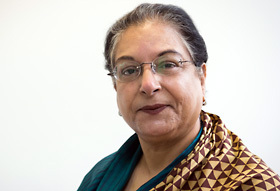 “I am very pleased that Hina Jilani and Ernesto Zedillo have agreed to join our group. Their wisdom and expertise will be precious assets for our future work. Their careers are models of ethical leadership and unwavering commitment to democratic values. “The Elders stand for independence, credibility and trust. Above all, we must champion democracy and peace. I hope I can contribute to promoting these principles and increase the visibility of the issues that the Elders decide to take on. Ernesto Zedillo, an economist, was President of Mexico from 1994 to 2000. He is currently the Director of the Center for the Study of Globalization at Yale University in the United States. During his presidency, Mexico achieved profound democratic reforms, paving the way for a robust multi-party system. The country, after defeating a severe financial crisis, experienced strong economic growth and saw a great increase in social programmes to tackle poverty. 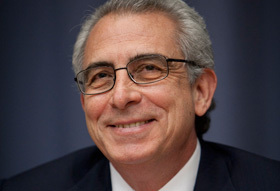 Since leaving office, Ernesto Zedillo has focused on seeking solutions to some of today’s foremost global challenges, notably drug policy, nuclear non-proliferation and development through his participation in a number of international commissions. “I see great value in a group of Elders who are entirely dedicated to the common good and whose purpose it is to rise above differences – who are there to listen, and who can draw on the experiences of Nelson Mandela. “As Elders it can be our role to acknowledge the profound global challenges we face, but also to say: mankind can overcome them. Time and time again, acts of leadership have helped build peace and lifted millions out of poverty. We must aim to achieve stability, security and prosperity on a global scale." Desmond Tutu announces that Nobel Laureate and former President of Finland Martti Ahtisaari will join The Elders.